‘Ancestor Cells’,2013,H59xW66cms. 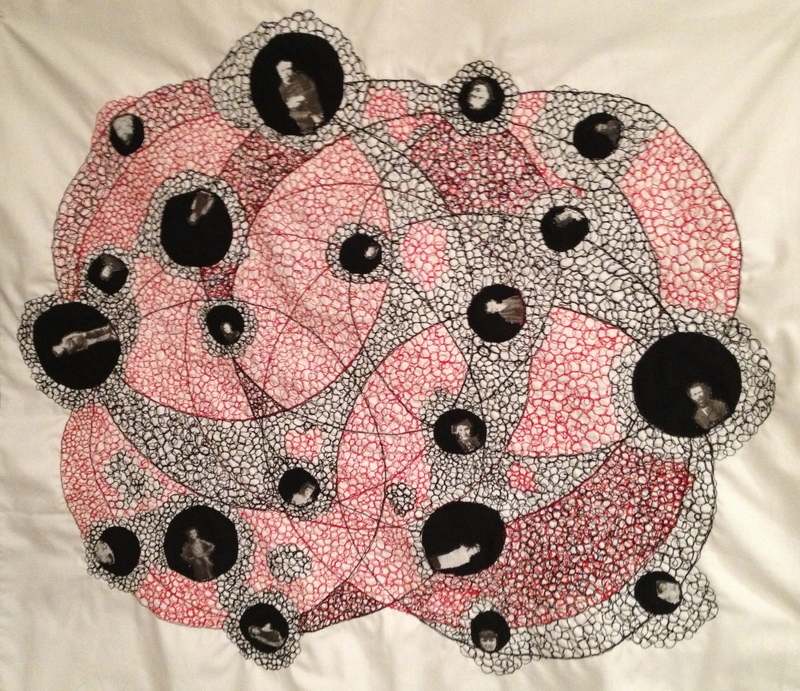 Free machine embroidery,inkjet print on cotton,collage,applique,machinestitched. Published February 20, 2014 at 2769 × 2393 in Ancestor Work 2013.